Andrea is currently serving as President of the Association of Moving Image Archivists, a professional organization dedicated to preserving and making discoverable moving images on film, video, and file. She is also experienced in these areas having worked as Vice President of Archives at Paramount Pictures; Head of Preservation at the British Film Institute, Digital Studio Director for Discovery Communications, Archivist for Dreamworks SKG and preservationist and research database expert at UCLA Film and Television Archive. Paul Chapman has worked in the Video and Post Production industry in Los Angeles for over 25 years, having come from the UK after a career in Software Engineering. His degree is in Computers & Cybernetics from the University of Kent, Canterbury. During the first 15 years he was very active in the Telecine community, working for both manufacturers and users, such as Rank Cintel, Unimedia and Complete Post and Unitel Video. 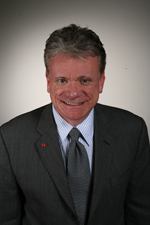 In 1996 he joined FotoKem, holding various engineering leadership positions. During the first part of his career at FotoKem he led the team that designed the infrastructure, implemented, and then moved into a new 60,000 square foot purpose built video Building. At FotoKem he currently holds the position of Senior Vice President of Technology, in this position he is responsible for evaluating, recommending and implementing all aspects of digital technology company wide. He is immediate past chair of SMPTE Hollywood section, having served for two years, and currently is SMPTE Hollywood regional Governor. Jim DeFilippis has worked in the broadcast/media space for 30-plus years and has been part of major broadcast/media companies ( FOX, ABC) and (6) Olympic Broadcasts. Jim has managed large technical projects, developing new technologies into working systems for television production and distribution. Jim has established a consulting practice focusing on media file work flow, sports broadcast technology, and mobile television. 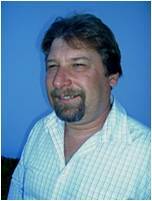 Jim has a MS in Electrical Engineering, is a Fellow of the SMPTE, a member of AES, SCTE and IEEE. In 2012 he received the David Sarnoff Medal from SMPTE for his innovative work in television technologies. Jim resides in Los Angeles with his lovely wife, Maggie and two children, Jake and Juliana. He likes to bike, sail and work in the garden. Patrick Griffis is Executive Director, Technology Strategy in the Office of the CTO at Dolby Laboratories where he is charged with helping define future technology strategy for the company. Prior to Dolby, he spent 10 years at Microsoft leading digital media standards strategy on a global basis including adoption of the Digital Living Network Alliance as a baseline media sharing standard in Windows 7 and standardization of Windows Media Video technology as an international standard in SMPTE. Prior to Microsoft, Pat spent 15 years at Panasonic in senior management positions including VP/ Strategic Product Development at Panasonic Broadcast where he helped launch DVCPRO and drive HDTV strategy for the USA. Pat started his career at RCA earning 8 patents in TV product design. 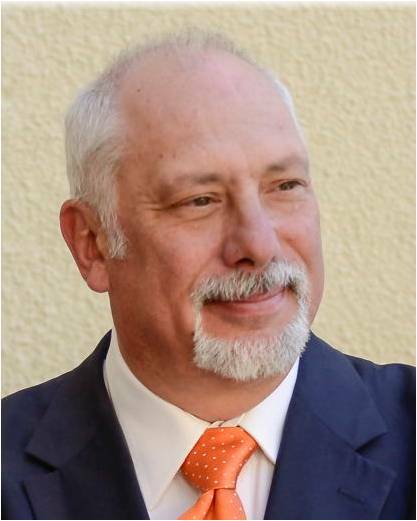 He serves as SMPTE Vice President of Education, a member of the SMPTE executive committee and is a SMPTE Fellow. He is past member of the board of the ATSC and past Vice Chairman of the board of the Digital Living Network Alliance. He is an invited member of the IBC Council, an industry executive advisory group as well as the Academy of Digital TV Pioneers. He served two terms as President of the IEEE Consumer Electronics Society. Pat holds a BSEE from Tufts University and an MSEE from Purdue University. Steve Wong is the Director of Business Development Media & Entertainment Group for Hewlett Packard Enterprise and is serial start-up media and entertainment internet infrastructure person who enjoys putting first-ever disruptive technology in the hands of billions. Steve was recognized with a 2007 Primetime Emmy Award for Outstanding Achievement in Engineering Development for the Teranex Video Computer. Steve is a Member of the Interactive Media Peer Group of The National Academy of Television Arts& Sciences (The Emmy Awards). He is an Executive Academy Member of The International Academy of Digital Arts and Sciences (The Webby Awards). In addition, Steve is a Hollywood Section Manager of The Society of Motion Picture and Television Engineers® (SMPTE®). For fun, Steve writes and produces independent feature films. Steve also is a visiting lecturer at the University of Southern California Marshall School of Business Lloyd Greif Center for Entrepreneurial Studies and a mentor at the USC Incubator (startusc.com), a program for high-potential startups founded by USC students, alumni and faculty/staff. 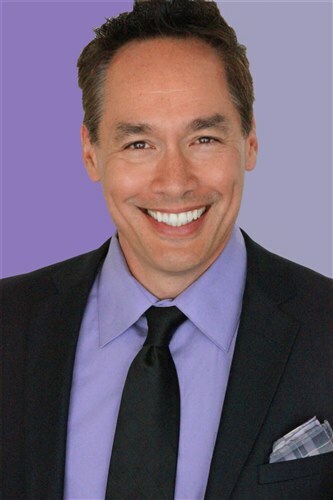 Steve began his career in broadcasting working for Belo Broadcasting and then moved to ABC Capital Cities (purchased by Disney) as Director of Research and Development. In this role, Steve experimented with broadcasting live news on the internet with Cu-Seeme back in 1995. During the times of broadcast conversion from Analog to Digital, Steve used his knowledge of broadcasting to advice stations on broadcast equipment while at Leitch technologies (purchased by Harris then purchased by Imagine). During the times of broadcast and post production conversion from Standard Definition to High Definition, Steve joined a Department of Defense Military technology spin-off start up (Teranex) that used Parallel computing for video conversion and pre-compression processing. In his role, Steve advised a number of broadcasters, postproduction studios, and movie studios on conversion, noise reduction, and 3:2 pull down. As content moved on-line, Steve moved into video transmission, storage, and distribution joining Level 3. Steve advised client on the best practices for online live broadcast and Video on Demand distribution, storage, and monetization. Steve also helped Siemens successfully spin off a software division focused on Over the Top TV (OTT). Currently, Steve is the Director of Business Development for the Media & Entertainment Group at Hewlett Packard Enterprise helping Hollywood virtualize and secure the process of production, post production and distribution of movies and episodic programs. Over the years, Steve has advised a number of start-up companies.